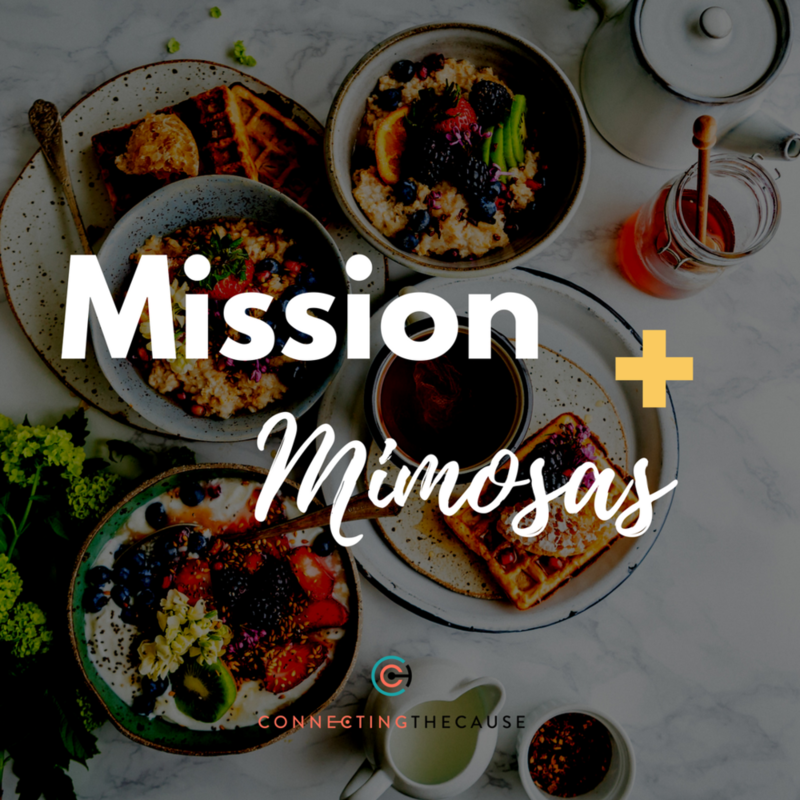 Mission+Mimosas is an unconventional, intimate networking event in Atlanta hosted by Breauna Dorelus of Connecting the Cause. The event brings together surrounding women servant leaders, community volunteers, do-gooders, and servant-centered changemakers under one roof to re-energize, recharge, and fall back in love with their collective passion of giving back. Getting dragged into networking events can be tiring, and demoralizing. This event is anti-networking and all about real relationship building. Welcome to a space where you get to know people for who they are and not the amount of degrees they have, and the 9-5 they show up to. Mission+Mimosas is uniquely crafted and designed for individuals to occupy a space and show up as a person, instead of as a profession. We create a space of openness, where genuine connections are made, and you feel empowered about how you want to show up for the world. You will meet women from all walks of life, just like you, who have deep convictions about societal issues and who want to work though what it looks like to pursue servant-centered passions. This is Mission+Mimosas. Stay tuned for more information about Mission + Mimosas 2019! Through their Mission + Mimosas event, Connecting the Cause reminded me that my service-related goals are truly attainable. Breauna’s well thought out activities helped me to reaffirm my passion and recharge my desire to get into action. This unique networking event catered to introverts and extroverts alike, allowing me and other women to comfortably rediscover the skillset, strengths, and purpose that drives us and makes us changemakers. I especially loved the sticky note wall which invited us to share what we had to offer with other women, some of whom I am still connected with today. A special THANK YOU to Party Because ATL for planning and excecuting Mission+Mimosas alongside Connecting the Cause! Where do I begin? Breauna epitomizes the meaning of transformational leadership and it was evident at the Mission + Mimosas event where she gathered fellow women change makers and servant leaders in the Atlanta area. This was not your typical 'networking' event where many feel the pressure to interact with other professionals; rather, the playing field was evenly leveled and every voice mattered, allowing for authentic relationship building. The delicious food, mimosas and event space carefully crafted together to reinforce the theme of unity, purpose and self-care. The objectives of Mission + Mimosas was clear; to realign each individual’s objectives with a heart of service and passion for others. I left feeling empowered, recharged and truly inspired by Breauna and all of the women in attendance. I cannot wait for the next one!